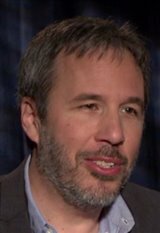 Denis Villeneuve is a Canadian director born in Gentilly near Trois-Rivières in Quebec. Although he initially began studying for a career in science, he abandoned that to pursue his love of filmmaking, and enrolled in film study at Université du Quebec à Montréal. His younger brother, Martin Villeneuve, is also a filmmaker, who directed the sci-fi film Mars et Avril . Denis participated in and won the youth film competition La Course Europe-Asie in 1990-1991. He began his career by directing the short film REW-FFWD (1994). Following that, he directed the segment "Le Technétium" in the film Cosmos (1996). His feature film Maelström (2000) caught attention after being screened at festivals worldwide and winning awards, including eight Jutra Awards and the Toronto International Film Festival (TIFF) award for Best Canadian Film. His 2010 film Incendies also received critical acclaim after being nominated at the 83rd Academy Awards in the Best Foreign Language Film category. He was selected in January 2011 by Variety as one of the top ten filmmakers to watch, and Incendies went on to win eight awards at the 31st Genie Awards. It was named as one of the 10 Best Films of 2011 by The New York Times. Denis received further praise with his work on the 2013 film Prisoners starring Hugh Jackman and Jake Gyllenhaal, which was nominated for a 2014 Academy Award for Best Cinematography, while the 2013 film Enemy starring Jake Gyllenhaal received a Canadian Screen Awards nomination for Best Motion Picture, while Denis won a Canadian Screen Award for Best Director. His 2015 feature, Sicario , starring Emily Blunt, Josh Brolin and Benicio Del Toro, received three Academy Award nominations. He then directed the sci-fi space drama Arrival (2016) starring Amy Adams and Jeremy Renner. In February 2015, it was announced Denis would be directing the sequel to 1982’s Blade Runner , taking place several decades after the original. Titled Blade Runner 2049 , the film hit theaters in 2017 with Harrison Ford reprising his role and co-starring Canadian Ryan Gosling. Denis is married to Canadian film and television actress Macha Grenon.